Roaming services are considered to be one of the key revenue generating services that mobile operators can o­ffer to subscribers. In order to maintain and enhance this revenue source, both visited and home operators need to keep the communication channel open to provide di­fferent informative messages to both roaming customers and visitors. Using RoamSalute mobile operators can educate outbound roamers on how to use di­fferent services that were available at home, promote new services to inbound roamers or simply to convey diff­erent important messages such as Roaming Tari­ffs or emergency numbers to roaming customers. RoamSalute is an intelligent and powerful messaging platform that facilitates the communication that mobile operators need to deliver personalized and informative SMS messages to both inbound and outbound roamers. Based on a set of flexibly defined criteria, RoamSalute caters for automatic messaging which is triggered by the movement or roamers across the di­fferent available mobile networks. Coupled with the Messaging Campaign module, RoamSalute guarantees e­ffective communication for increased satisfaction of roaming customers and visitors. Increased Revenue from better service awareness. On Demand Messaging through advanced. Single Platform; Comprehensive Messaging Capabilities. Both the content and language of the di­fferent types of messages can be flexibly defined based on the message recipient, visited network, home network and other operator set variables that helps in personalizing the communication interface. A single platform that allows for proactive communication triggered by inbound and outbound roamer latch in/latch out through di­fferent mobile networks. Bon Voyage Message: Triggered upon the successful registration of an outbound roamer into the visited network. Win Back Message: Persuasive messaging criteria to encourage inbound roamers to switch back to visited network in case of registration to a competitor network. Welcome Home Message: Triggered upon return of an outbound roamer to the home network. 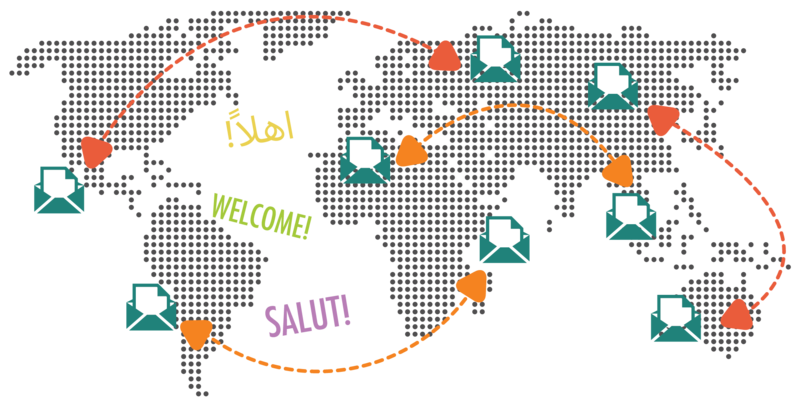 Welcome Back Message: Automatically sent by RoamSalute to inbound roamers returning into the visited network. Thank You Message: Help establish inbound roamers loyalty through thanking them upon returning to their home network. Win Over: helps the operator to gain Roamer from Competitor Network.